New study finds that functions of DISC – 1 gene during first week of brain development affect a person’s likelihood to develop schizophrenia later on. This suggests that interventions to prevent the disease may have to be given very early in life. Past studies have proved conclusively that mutations in DISC – 1 (Disrupted in Schizophrenia) gene is a high risk factor for mental illnesses like schizophrenia, major clinical depression and bipolar disorder. “We believe that DISC-1 is schizophrenia’s Rosetta Stone gene and could hold the master key to help us unlock our understanding of the role played by all risk genes involved in the disease,” said lead researcher Kevin Fox, professor at Cardiff University in Britain. “We have identified a critical period during brain development that directs us to test whether other schizophrenia risk genes affecting different regions of the brain create their malfunction during their own critical period,” Fox noted. Through a series of mice experiments, researchers noted a critical seven day window period immediately after birth during which the gene needed to bind to two proteins ‘Lis’ and ‘Nudel. Failure to bind resulted in diminished plasticity of neurons in later life. “The challenge ahead lies in finding a way of treating people during this critical period or in finding ways of reversing the problem during adulthood by returning plasticity to the brain,” Fox noted. 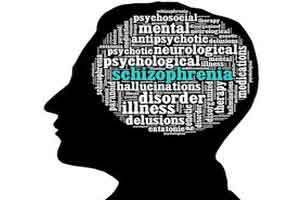 “This, we hope, could one day help to prevent the manifestation or recurrence of schizophrenia symptoms altogether,” Fox said.